Everyone at Guntersville Church of Christ from our cute little angel babies to 5th grade get very excited for VBS. At our VBS we sing and have a puppet show that has to do with the lesson for that day of VBS then we split up into groups according to our grade or age. While in those groups we go to different stations with our VBS teacher such as: pottery, bible class, snack, disk making, algebra shape building, or writing in Hebrew. 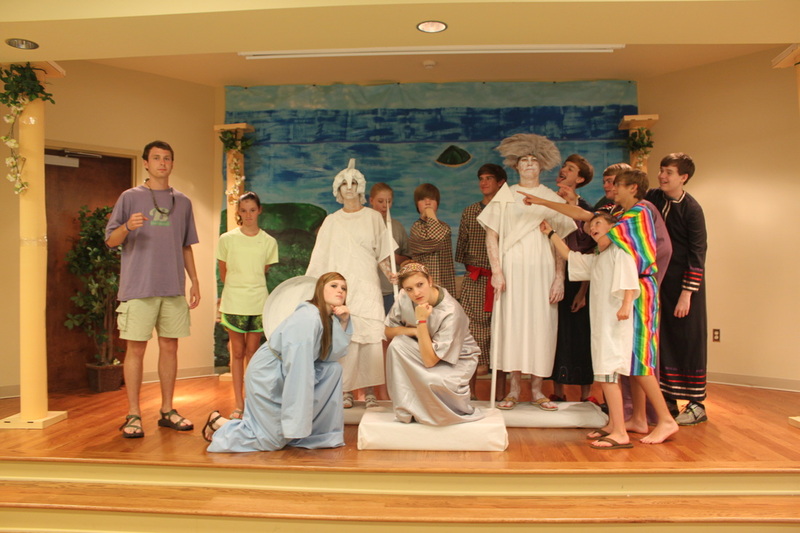 This year our Church time traveled to Athens to travel with Paul on his missionary journey. It was fun. Our VBS had everyone excited that Paul had been willing to spread God's word..... and made them want to spread God's word too, by saying HERE AM I, SEND ME.